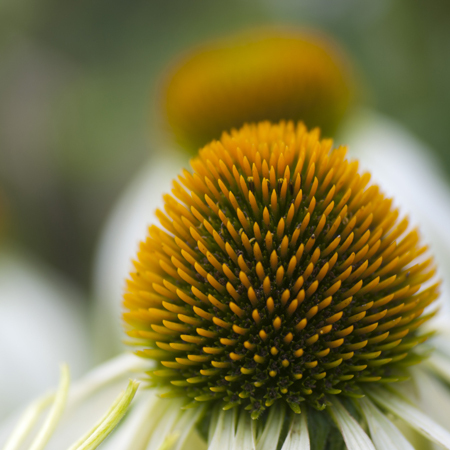 These cone flowers or echinacea are such beautiful photographic subjects with their bold spiky centres and pretty colours. This is a white form that grows at my local Botanic Garden. I do have a plant of my own which I notice is just coming into flower for the first time, it’s been slightly overshadowed by some taller growing plants next to it so I think I’ll have to move it if I want it to thrive. I could have easily left this one without textures but I wanted to show a slightly different processing using a Fly Edge. Fly Edge 16 @ Subtract 59% This layer was inverted. Subtract is one of the new blending modes in CS5, if you don’t have it and want the same effect you will have to experiment, using colour burn without the inverting seems to give a similar effect. This entry was posted on Sunday, February 20th, 2011 at 7:01 am. It is filed under Blog, Uncategorized and tagged with flower, Fly Edges, Summer Painterly Pack. You can follow any responses to this entry through the RSS 2.0 feed.